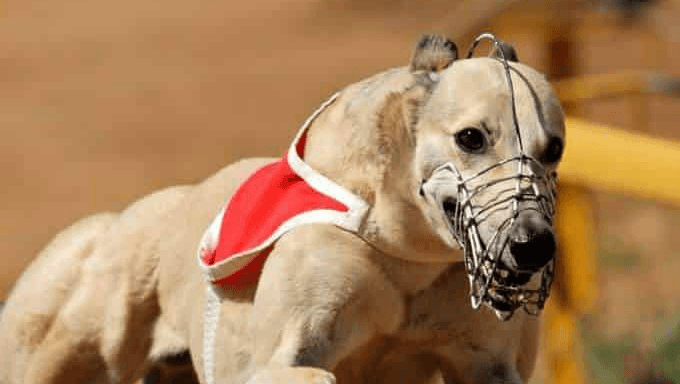 The Irish Greyhound Derby Final takes place at Shelbourne Park on Saturday night and with the initial heats taking place over a month ago the runners the previous rounds have ensured that only the best of the best have made it through to the final. This is always one that Greyhound racing fans enjoy. First staged back in 1928 when Tipperary Hills provided owner-trainer Billy Quinn with a victory in the race the race has had a permanent home at Shelbourne Park since 1979. The six dogs will be looking to join a list of racing greats that includes Spanish Battleship who took the race in three consecutive years (1953-1955) while in more recent times Toms The Best who took this race in 1997 prior to success in the English equivalent the following year and the great College Causeway who triumphed for Pat Buckley nine years ago. Our selection Slippy Cian who’s 11/4 at Paddy Power came through the slowest of two semi-final contests on Saturday night in a time of 29.80 seconds however on previous times he is the fastest dog in the competition with his 29.32 achieved in the quarter-final a fortnight ago being 0.9 seconds quicker than the best times his rivals have clocked here. A middle seed Slippy Cian had to contend with trap five in the first two rounds of the competition and while he came through those rounds comfortably. The draw in trap four for the semi-final proved more helpful and while he only won by a short-head in the end he stayed on well to get on top near the line. Trap three which the selection has drawn in the final would appear to be his preferred draw and with two inner seeds in traps one and two he shouldn’t experience too many traffic issues at the opening bend. There’s a decent chance that Slippy Cian’s biggest rivals may come from his own kennel with the May ’16 dog being one of three runners for his handler Graham Holland. Pick of Holland’s other runners would appear to be the wide seed Clona Blaze, who’s 11/2 at Bet365 who has had his favoured trap six throughout the competition including when making all for a 1.5L victory in the quarter finals a fortnight ago. The son of the aforementioned Laughil Blake was unable to lead up in the semi-finals but still ran well to finish a neck and a head behind Magical Bale. Previously unbeaten in the competition a repeat of that semi-final effort should be enough to see him play a hand in the finish. Trainer Patrick Guilfoyle took this race 12 months ago with Good News and he is represented by the second semi-final winner here in Magical Bale. Currently vying for favouritism at a best price of 11/4 with William Hill Magical Bale raced in second for much of last week's contest and has drawn trap two once more for the final. The winner of three of his four races in the competition so far the son of Zero Ten has the speedy Ballyanne Sim on his inner he is likely to attempt to repeat those tactics on Saturday night. Jaytee Taylor, 10/3 at Bet365, impressed in the first three rounds of the competition winning by a combined total of 17L and while he had the run of the race when making all for each of those victories he hasn’t been beaten far in either the fourth round or semi-final finishing just a neck behind Magical Bale on his last start. His top trainer Paul Hennessy knows what it takes to win this race having taken it with Tyrur Rhino back in 2007 while his resume also features seven renewals of the prestigious Easter Cup held at this venue and victories in the Scottish Greyhound Derby three times and the English Greyhound Derby (once). The third Graham Holland runner Clonbrien Hero, 8/1 at Betfair, was quick from the traps in his first two races and did well to qualify having been bumped at the opening bend in the semi-final. Nevertheless he looks to have a bit to find with his kennelmates in this event. Given the good speed he showed from the traps in the semi-final it would be dangerous to write off Ballyanne Sim, 20/1 at BetVictor, completely who has drawn the red bib in the Final. He looked back to his best that day when only headed late on by the strong stayer Slippy Cian in Saturday’s semi-final and despite being the outsider of the field he may outrun his price.